Well, here it is! 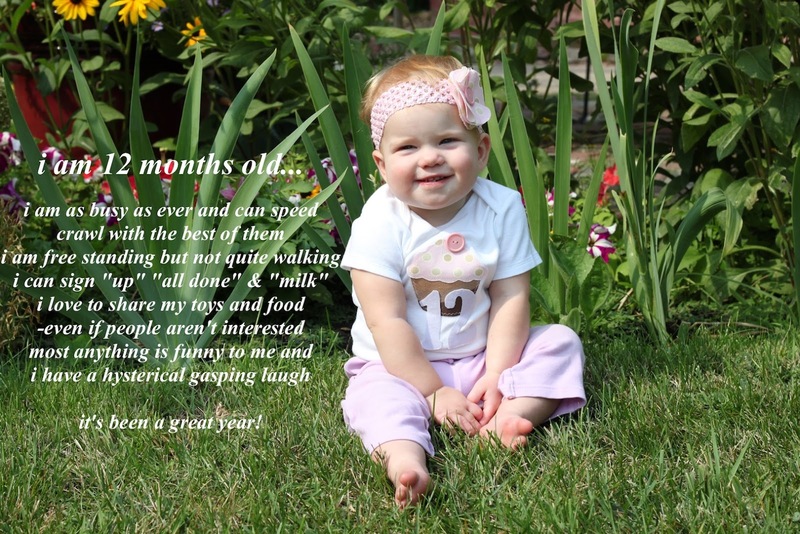 My last monthly onesie for my GiGi. I'm not sure what symbol I would have done for August (maybe a popsicle or something beachy?) so I was glad to have her birthday fall this month so that I could celebrate with a fun cupcake. I made this one in a hurry so I failed to document each step but if you've been following my onesie project, you probably know the routine by now. If not, please check out some of my other posts! Step 1: Find adorable image on good ol' google images that is easy to trace. Step 5: Sew edges (if desired. Just ironing is fine too.) and EMBELLISH! I made a simple cupcake with some brown stripey fabric for the bottom and pink polka dot top. 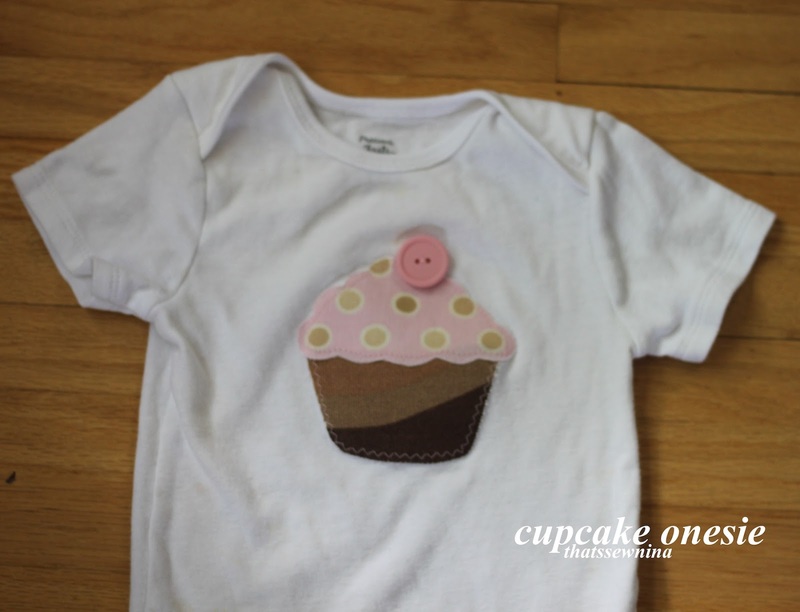 To embellish, I sewed a little pink button on top. When I get a minute to do some photo editing, I'll surely put together a beauty of a collage with all of my onesies together. In the meantime, feast your eyes on this little sweetie. Happy Birthday, girly! Mom loves you!